There are millions of blogs online and many new websites are created every day. But which suggestions may I give to those who are already experienced bloggers? Well, some tips that can be used to improve your own blog in any way. Let’s start from the heart of the matter : a proper communication strategy and an effective content marketing are critical to the success of your blog. In fact, these two factors have the power to retain the readers in your blog, to bring you new ones and – if the website is also tasked to monetize – to influence the ROI that your blog can generate. That said, here’s a list of eight tips dedicated to those who already have a solid experience in terms of blogging. In essence, this is – in my opinion – what you should do if you are a blogger and you would like to become an expert in your field. Treat each of your posts as an article in its own right: plan it so that it is exhaustive. This means that you have to explain your topic as completely as possible, so that the visitor of your blog will not require any additional information at the end of the reading. Make some online research if needed and mention some useful resources. Google like this. Some interesting external links, if they fit well in the context, they coould increase the quality of your reader’s experience. With reference to the first point and in order to be exhaustive, be sure to always create quality content. Your blog should be useful and interesting for your audience. Post only your best content on your website. This means that if you want to create a post today, but you do not know what to write about, you should seriously consider not to publish anything on your blog on that day. Probably this is not the first time – nor the last – that you read that writing quality content is important, but you should always keep that in mind. When your knowledge is insufficient to treat a subject with competence, you may think to invite a guest blogger. Find one who is an authoritative expert of that specific topic. You may want to research first between your friends. I should invite, for instance, Ms. Ileane Smith, to explain my readers how to create an effective Podcast or how to build great videos and market them on YouTube. I should also think about Adrienne Smith : she could be a fantastic guest in my blog and you will surely learn a lot from her about the secrets of building strong relationships. The two above mentioned Big Bloggers are just taken as example. In my online experience I have connected with many wonderful people! Occasionally, interview some prominent figures in your niche. Also here, you should think first to ask someone between your friends bloggers. It can be profitable for both, the interviewee and the interviewer. You may discover many new useful things, concepts, tools from the popular blogger you are going to write about and he will be happy to be interviewed, because he will receive many benefits in terms of online visibility. Be sure to organize the information carefully in your blog: the architecture is important because of SEO and usability of your website. Your readers should be able to quickly find the information they want and they should be able to navigate easily. I do not use pop-ups and I think I will never implement them in my online properties, because I hate every time I visit a blog and I must click to close a pop-up, if I want to read the content (this is just an example of usability of your blog). So try to put yourself in the shoes of your readers and see if a visit in your website can be like hell or a great experience. Stay tuned to the needs of your audience. Stay connected with your niche market. What does your visitor want to read about? How can you solve some problems? You need to ask your community what they want to discuss about. Answer the questions of your users. If your blog publish quality content, sooner or later, your readers will begin to comment on your posts. With comments, questions begin to come in, both in the queue to individual posts and through the contact form. Be sure to answer to all these questions. Always. Even if they need your time and effort. Give a trademark to your blog content. Which means : “Turn your blog into a brand“. Let’s say that it is essential to produce quality content in specific themes and in your niche, to be comprehensive, to show your personality in a transparent way and to use a personal style of writing. Try to demonstrate seriousness, honesty and professionalism. You should constantly study SEO and pay attention to the future changes. In fact, it is useless to build a blog with quality content, if no one may find it ! You know that Google changes its algorithm very often : what it is worth today does not mean that will be worth more tomorrow. I’m not an SEO expert and I do not pretend to be, indeed. I’m learning something new every day. do not build backlinks just because they are fast and easy to create. You may bitterly regret in the future. I can tell you this from my experience! These are my tips for experienced bloggers, for you! I am so glad you liked the article, in particular point #3! these are some great tips. Personally, I don’t even worry about SEO much anymore. it is becoming way too difficult to rely on. I rely more on social traffic and what I can do to drive visitors myself rather than leaving it up to Google. That’s a good point, James. With certain of my websites, I do not even care about SEO so much. Social media, subscribers and passionate visitors are just enough for some niches. I think, “Interview Famous Bloggers” this is where I need to take a step in 2013. The interview to popular bloggers is always a type of article that goes viral easily, in my opinion. It is worth to spend some time building a post like this. The points that you have highlighted are surely the great ones. Inviting guest bloggers would surely help to build the best structure of your blog. Apart from this, for an experienced blogger, publishing content which is unique also do helps a lot. Thanks for the share!! I am glad you liked the points listed in this article. Many are taking Interviews of famous bloggers. I see this as a new dimension to blogging, if possible can share the video of the Interview too. The video about interview is a great idea. It can be a Skype conference video, for instance. Conduct giveaways in order to encourage the readers. Get suggestions to improve the Blog. Give freebies that will be useful for readers. Giveaways are indeed a great way to attract new readers and keep engaging with existing ones. Great post – I am really keen to broaden my blog’s content this year. So, I am opening up for guest posts. I also aim to guest post myself more. Thanks for an insightful list of ideas. I have started my guest posting campaign last year in September and I want to continue this year. At least 2 per month seems a reasonable number for me. Thanks for the visit, John! Thanks for sharing Erik. A good comprehensive list of important tips. Wonderful tips for any blogger. Thanks for the great tips. I especially like no. 2 – Publish something useful! So many bloggers just post a lot of fluff that is not helpful and a waste of time. Providing value is always key and you do that so well with your blog! Have a great day and I look forward to reading more useful posts from you! I have found out that publishing something useful is not easy at all! The more time you dedicate to create an article, the more quality it will have. I’m going to be focusing on that first one especially! Thanks for posting this! Please spill the beans so we don’t make the same mistake! I have started blogging for fun in June 2010, with Zero knowledge. So at beginning of my “blogging career” I thought that was worth every link I could get. Basically, without entering in details, I got some backlinks that are against the Google guidelines and I spent a lot of time cleaning them from my site. There is so much to tell about blogging and marketing, that one should write a book, not a post! Introduce new trends like video blogging. Capture the videos of famous talks and post them. Provide a live coverage of best tech events. very useful points! I was especially drawn to your first point- Be Comprehensive. When a post offers a well thought out and detailed analysis of a topic, readers get more value out of it. This helps to build a loyal readership and reputation of being an expert in that area, over a period of time. It’s all about them so it really makes sense to always stay in-step with their needs. The moment you stop giving them what they really need, they stop paying attention to you and start looking for someone else who does. Your readers are the most important factor in your blog. Some very powerful yet easy to apply tips, Erik. I think building a brand(name) and offering something useful, are highly important…. A lot of people avoid SEO, and may also not bother too much with Keyword research ,etc…. Very nice and much need advises Erik because competition today has become much tougher and Google is trying to cut out all the short-cuts out of the game, so we bloggers have no choice but to stick to these basics you mentioned. That was my 1st visit to your blog; and I am happy to spend time to read your posts. I gonna visit it daily forsure, Hopefully I will found more useful material. Thanks for your feedback, Adil. It is a extraordinary tip i liked it alot. 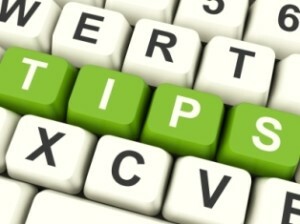 Awesome tips for building better blog, I was in search of material like this, I really appreciate your contents Erik. You’ve shared some excellent tips. I personally want to try accepting guest posts on my blog as it’ll keep the consistency of new article and help me grow. But I’m worried about content quality.